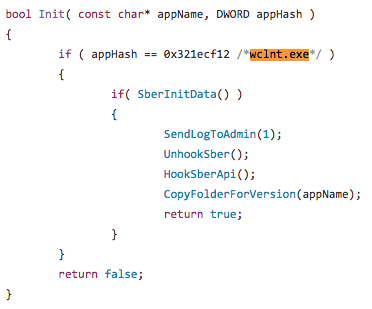 Cyphort recently published an article about the Buhtrap banking trojan [https://www.cyphort.com/banking-malware-buhtrap-caught-action/], targeting users of Russian and Ukrainian banks as reported in March of 2016 by Group-IB [http://www.group-ib.com/brochures/gib-buhtrap-report.pdf]. Cyphort’s insightful article analyzes the compromise chain from the website eurolab[. ]ua, directing users via an apparently injected HTML script src attribute to rozhlas[. ]site which served exploit code for CVE-2016-0189 (Internet Explorer 11 VBScript Engine Memory Corruption). Detonation of the exploit code leads to the download of the first stage malware, which is responsible for profiling the system, then downloading the actual Buhtrap malware or a non-malicious binary depending upon the execution environment. Systems that show indications of being involved in certain banking operations will receive the malware (sometimes in the form of an NSIS installer package), and other systems will receive the non-malicious binary. In some cases, sandboxes won’t execute the malware properly. The first stage malware discussed has the SHA-256 hash value of cd703f7bd0e449fbc9ccdaaae85beef2f874988236a50cd40d3f93b817d5b670. The website rozhlas[. ]site (now offline) was a generic staging ground, used to host the Buhtrap malware and the non-malicious binary as well as the exploit code. Selectively downloading second-stage malware depending upon target profiling is a tactic that has also been deployed by other generic malware staging/loading systems, such as Andromeda, that in some cases specifically hunt for Point of Sale operations. Analysts and incident responders need to be able to follow threat and exploitation activity to reach second stage payloads in order to gain full insight. The popularity of automated analysis environments via sandboxing unfortunately means that threat actors are continuing to invest in malware execution tactics that will decrease visibility when the payload is detonated in such an analysis environment. While the Cyphort blog does a nice job analyzing the first stage, there is additional context and other indicators surrounding this first stage of threat activity that may be of interest to network defenders and threat intelligence analysts. Since rozhlas[. ]site is clearly used by threat actors associated with Buhtrap, it is interesting to look at additional malware samples that initiate network connectivity to rozhlas[.]site. 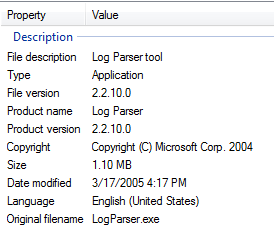 org    = "Arbor Networks ASERT"
desc   = "connects to C2 and issues HTTP client request for knock.html"
This sample, which appears to be a downloader according to anti-malware detection schemes (which can of course be generic and inaccurate), was discovered in the wild using the filename cache.bin. Based on the presence of “Knock” in the code and in the network communications, it is possible that the purpose of this sample is merely to notify the coordinating threat actor (aka “botmaster”) that another machine has been compromised. It is also possible that a connection to the C2 with this unique HTTP client request triggers some other type of process, although without access to the server side code or a live C2 this is difficult to determine. The sample was created during the execution of two other malware samples, 6e43b7aff8a151eef979493b98eec3ce447489e9ec4deab656a40ef3ed0ca6ab, and 97f80175fb58cc514bdcb79d11fe1bcec1b74422171d9493d179a90dcacd7d93 which will be profiled as sample #2 and sample #3 in this set. This file was found at URL http://rozhlas[. ]site/news/business/cache.bin on 9-7-2016. This sample was observed to connect to http://rozhlas[. ]site/news/business/release.bin with the User-Agent Mozilla/4.0 (compatible; MSIE 8.0; Windows NT 5.1; Trident/4.0). Sberbank of Russia is a Russian banking and financial services company headquartered in Moscow. Sberbank has operations in several European and post-Soviet countries. The same filename wclnt.exe appears in an analysis of the Ranbyus banking Trojan, mentioned in early 2013 by Xyliltol at http://www.xylibox.com/2013/01/trojanwin32spyranbyus.html. This appears to be another instance of the Buhtrap first stage malware that profiles the system and downloads either an innocuous payload or the second stage Buhtrap malware. In the original sample, which is packed or encoded in such a manner as to obfuscate some aspects of functionality, we can observe what appears to be some type of key. desc   = "Buhtrap Related Malcode"
In practice this YARA rule works best when applied against memory dumps of the first stage Buhtrap malware component, but may work on primary malware samples as well, depending upon their structure. A filesize parameter could be added into the condition section, however this value should be larger than the largest memdump in question. The fourth Buhtrap related sample we examine contains a URL pointing towards a known benign payload at rozhlas[.]site/news/business/release.bin. This sample is signed Bit-Trejd, a point that will be discussed further in a pending writeup. 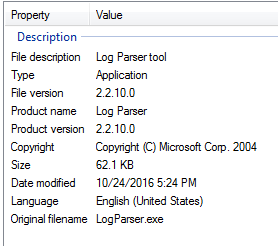 The real LogParser.exe binary is signed by Microsoft, not Bit-Trejd. This suspicious signature should be a dead giveaway of a problem. Analysis of other malware signed by this certificate will be covered in part two. This post is intended to provide additional context around the Buhtrap threat, and has provided additional indicators and data useful to incident responders and other threat researchers.